Ober Gatlinburg had humble beginnings as it opened as the private Gatlinburg Ski Resort in January 1962. 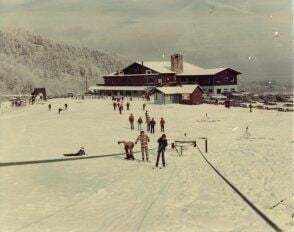 The resort was very basic with a lodge, a couple of ski runs and an outdoor ice rink, and quickly became open to the public. The early days, according to Ober Gatlinburg’s Jerry Huskey, were very primitive because there weren’t a ton of skiers in the area. Huskey started skiing at the resort in 1969 and served 15 years on the ski patrol as a volunteer, and currently is the HR Director and Risk Manager. Huskey has seen the resort go through some lean times — including a merger that shaped Ober Gatlinburg into what it is today. Claude Anders certainly didn’t start out to get in the ski industry but played a major role in creating one of Gatlinburg’s iconic attractions as well as shaping the future of the resort. After a trip to Europe in the early 1970s, the real estate developer Anders had a vision for Gatlinburg skiing leading to the construction of the Gatlinburg Aerial Tramway in 1972. The tramway took visitors to the mall area as an attraction. However, the Gatlinburg Ski Resort experienced financial distress in the mid 70’s. That led Anders and his family to purchase the ski resort and merge the Resort and Tramway to become what is known as Ober Gatlinburg. “He had a tramway going to a parking lot so they took over the ski operations to keep the tram viable,” Huskey said. When the Anders family took over the resort, it had four slopes but has grown to over 10 with a noticeable increase in skiable area. 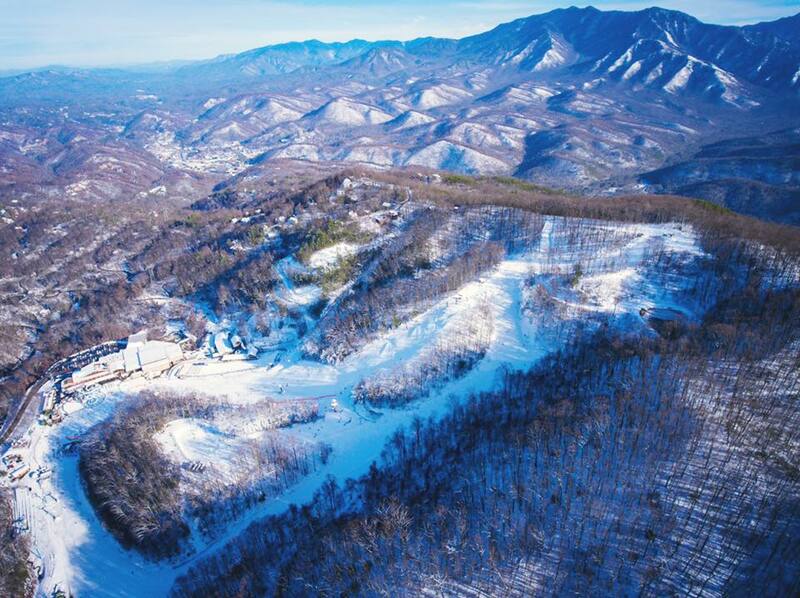 With the challenges of skiing in Tennessee and at a lower elevation than their North Carolina counterparts, the family at Ober Gatlinburg set out to make it a year-round destination. Ober Gatlinburg did just that by adding a series of attractions that draw people to the resort year round. These attractions include the alpine slide (which was built in the 1970s and is still one of the more popular attractions today), indoor ice rink and animal habitat along with the more recent additions of tubing hill and mountain coaster. Perhaps on what makes Ober Gatlinburg so popular is that they aren’t in an isolated area. In fact, they are surrounded by tourist hotspot Gatlinburg. The resort is coming off one of the most difficult seasons in its’ history as the Gatlinburg wildfires ravaged the community of Gatlinburg. While the resort remained relatively untouched, it forced the staff, some of which lost homes in the fires, to hit the reset button a couple of weeks away from the start of the season. Despite the setbacks (and warm weather), the resort actually recorded the best ski weekend in recent memory during the season. That said, the staff at Ober Gatlinburg continue to push ahead this season to try and deliver the best season possible. For this upcoming season, the resort has made a number of improvements with skiers and snowboarders in mind. In addition to adding new mechanical pumps, new pumps at the and new piping, the resort will use their “Snow Magic” on Cub Way to help solidify the base.